This month saw the conflict between FIBA Europe and the Euroleague (more precisely its private club-supported organizing body, Euroleague Commercial Assets or ‘ECA’) becoming further entrenched. This dispute commenced with FIBA creating a rival Basketball Champions League, starting from the 2016-2017 season with the hope to reinstate their hold over the organization of European championships. The ECA, a private body that oversees the Euroleague and Eurocup, not only decided to maintain its competitions but also announced it would reduce them to a closed, franchise-based league following a joint-venture with IMG. In retaliation, FIBA Europe suspended fourteen federations of its competition (with the support of FIBA) due to their support for the Euroleague project. More importantly, this suspension could concern the 2016 Rio Olympics and the Spanish title-holder whose federation backs up the ECA. In February 2016, the ECA announced it had filed a complaint before the European Commission against FIBA and FIBA Europe as a consequence of an alleged abuse of their dominant position in forcing national federations to rescind their participation in the Euroleague competitions. In response, FIBA filed a complaint in April against the ECA before the same European Commission for the same breach of EU competition law provisions. DG Competition is expected to decide on the opening of both cases unless the ongoing negotiations between both parties resolves these issues first. 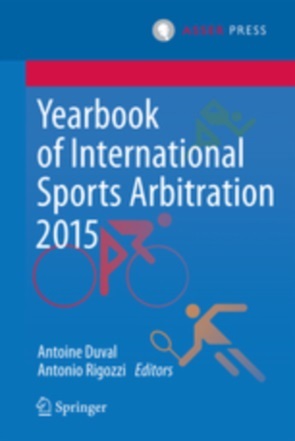 Sport has placed a lot of emphasis on EU competition law in the past weeks. In a similar situation to basketball, the FEI is fighting the emergence of the successful Longines Global Champions League (‘LGCL’), a private worldwide horse jumping competition. The Belgian competition authority already granted interim measures to the LGCL in a dispute arising when the FEI tried to suspend riders and horses that were participating in the unsanctioned league from its own competitions. While still waiting for the final decision in the case, the FEI recently suspended two of its officials for six months following the first leg of the LGCL in Miami. On the media selling rights front, the German competition authority has decided to impose the “no single buyer” obligation starting in 2017. This clause was first imposed by the European Commission as a remedy against the risk of monopolization in the Premier League selling media rights case. The rule is designed to ensure that more than one TV broadcaster will win all live broadcasting rights, changing the status quo in Germany which had previously awarded all broadcasting rights to Sky Deutschland. The decision was made in order to ensure that innovation on the Internet-based offering is not at risk. The Greek government is involved in a bitter struggle with FIFA over its decision to cancel its national cup due to the crowd violence witnessed this season. FIFA provided the Greek authorities with a new deadline to change their decision, otherwise the national federation will face a suspension. An agreement between both parties seems to have been found. The very long awaited Hillsborough stadium disaster decision was delivered on the 26th of April 2016. The jury in the inquest ruled that 96 persons were unlawfully killed 27 years ago and that the behaviour of Liverpool fans did not contribute to the disaster. The jury also said that the police’s planning for the match and actions on the day did contribute to the tragedy. The prosecutor now has to decide whether criminal charges should be brought against individuals or organizations. The UK Information Tribunal ordered the London Legacy Development Corporation (‘LLDC’), which managed the London Olympic Stadium, to publish the deal it has with the West Ham football club concerning the use of the stadium. The LLDC was fighting a freedom of information campaign that argued there was not enough transparency concerning this contract. West Ham will move to the Olympic Stadium at the end of the season. The Paris Court of Appeal decided that it was not necessary to refer for a preliminary ruling to the European Union Court of Justice and rejected the appeal relating to alleged violations of EU law by the now revoked FIFA Regulations on the Status and Transfer of Player concerning the players’ agents profession. This decision is probably the final point of the never-ending Piau case. FIFA first modified its provisions for players’ agents after the European Commission opened a case for an alleged breach of EU competition law. Mr. Piau contested the European Commission’s decision to close the investigation but both of its appeals at the European Court of Justice were rejected (see here and here). The British Tax and Chancery Chamber of the Upper Tribunal referred a question for a preliminary ruling to the Court of Justice of the European Union relating to tax law. The CJEU will have to tackle the definition of sport in deciding whether bridge is a sport (Case C-90/16). Josu Alonso - El Sporting ¿puede recibir una sanción de la FIFA? Owen Gibson, Leaked documents raise the question: just how new is the new FIFA? Manuel Veth - Dinamo Moscow and GestiFute – A Deal with the Devil? 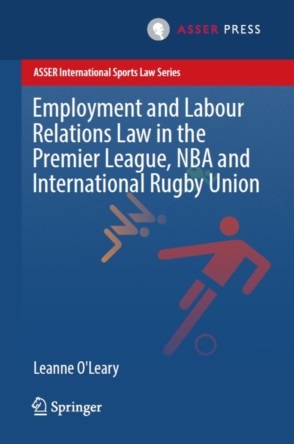 Narelle Bedford and Greg Weeks, Doping in Sport: What Role for Administrative Law? Daniel Geey and Jonny Madill, What would Brexit really mean for the Premier League? Oskar van Maren, EU State Aid Law and Professional Football: A Threat or a Blessing?